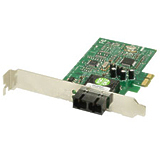 N-GXE-LC-01 is a Fiber Gigabit Ethernet to PCIe bus adapter that fully complies with all IEEE 802.3z and 1000Base-SX standard. It provides up to 2000Mbps full-duplex bandwidth capacity to support high-end servers. 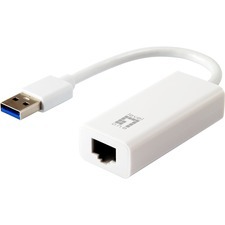 In addition, with advanced functions like VLAN filtering packet processing, the adapter provides enhanced performance, flexible configuration and secure networking for users in a standard-based environment. Two LED indicators (LINK/ACT and FDX) on the bracket will help to oversee the board link, activities and full-duplex status.